Happy Saturday. In honor of Maya Angelou who passed away this week, I selected three quotes. She had and shared so many beautiful thoughts, it was difficult to select a topic, let alone a quote about that topic. But perhaps, like me, you will enjoy these three. Greetings on this the eve of the last day in May. June 1 and hurricane season are just a couple of days away. So are 90 degree days. How far away are 100 degree days? Welcome to summertime in Texas. Obviously, no one in the family has read my comparison of Austin and B/CS. 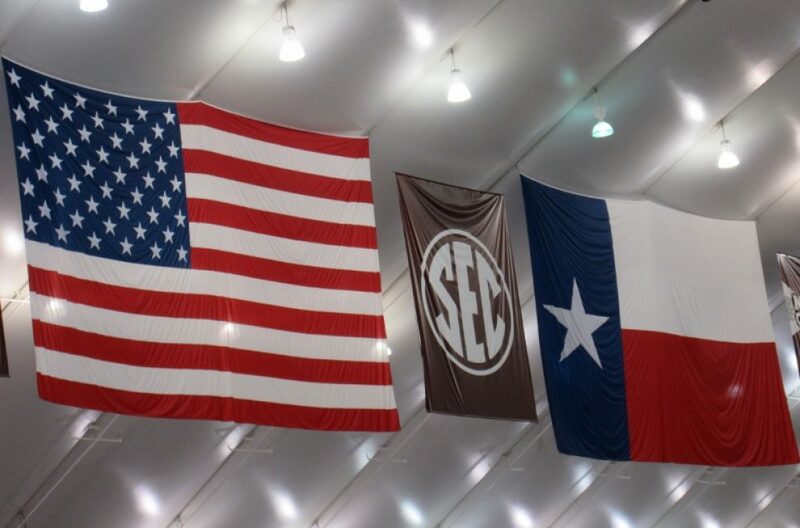 I suspect that had they done so, there might have been a comment regarding their placement second to the Texas Aggies. Well, first of all, it was a close second. And second, the Aggies are like family. I forgot to mention that the top news story over the weekend was the closing of Fuego Tortilla Grill in College Station. It seems this is a hot, late night, after hours, early morning, after the bars, breakfast taco kind of place to go. It voluntarily closed to due to an outbreak of salmonella. I hate it when those little salmonella break out of their little cages and take up residence in your intestinal tract. The next day the top story was how the place was cleaned top to bottom, not once, but twice. The second cleaning was done by an outside company. By day three, the place was back open and the parking lot filled with eager customers. It seems eggs were the source of the outbreak. Coming in a distant second in the news was a police shooting of an elderly woman in Hernia, two robberies, a pervy, Perry appointee dentist who took pictures of his female assistants changing clothes and an assault in Caldwell. Now that is just KBTX in Bryan. I also get the news from Waco-Temple. Talk about being along a cultural corridor. I have not heard the terms “legislature,” “bicycles” or “downtown closings due to festival” in over a month. Such is life in the Brazos Valley. Go Spurs. I’m a little Tea Pot; short and stout; This is my Senate and this is my clout. Also known as just when we thought we could not do worse, with Dewhurst. Hang On Buckaroos, this is shaping up to be a Texas government for the history books. May I be the first of a long and growing group who said “Be careful what you wish for?” With the distinct possibility of Dan Patrick taking dictatorship over the Texas Senate, it is enough to turn Texas back into a blue state. Where are those Castro brothers? But I now live in a county so red that I bought a pair of red shorts to look as though I fit in. What are the residents of Bryan called? Bryanites? Bryanettes? I am pretty certain the people who live north in Hearne are called Hernias. And of course the residents of College State are called Aggies. Last Saturday my friend, Karen R and I went to the Longhorn Steak House in downtown Bryan. When she asked “what kind of red wine do you have?” the response was “merlot” and “cabernet.” However the steak was delicious and the sign as you exit said it all “You call it a mascot; we call it a steak.” One morning while she was here, we took a walk around my new neighborhood. We happened upon the across the street neighbor – RC. Not Slocum. More like the cola. But RC had his bible tucked under his arm. I asked what he was going to do and he replied, “I am going to go read to some of the people in my church.” And then he asked “Do you ladies go to church?” Karen responded first while I hoped he would not ask me, but then RC turn to me and said “How about you?” Truthfully, I said, “I was confirmed right down the street here at St. Joseph’s and I might give it a try since I moved back.” RC kind of made a hurrmph sound and said “Catholic, huh? Some of my best Christian friends are Catholic.” I am not sure those red shorts are going to be enough. A Comparative Analysis of Ten Selected Socioeconomic Attributes of a Major Texas Urban Town in Central Texas and Two in the Brazos Valley. Forced to relive “glory days” from long ago and watch Justin Tucker kick that field goal. Johnny Manziel is a god. Seasoned coach; does have QB and hope he is sober and not passed out in flower bed on game day; The Aggies never lose; sometimes time runs out.